Jenny Erpenbeck was born in East Berlin in 1967. After graduating from high school, she first trained as a bookbinder before going on to study theater science and music stage direction. While working as an opera director, she debuted with her short novel Story of the Old Child, which was followed by other literary publications, including novels, short stories, and stage plays. 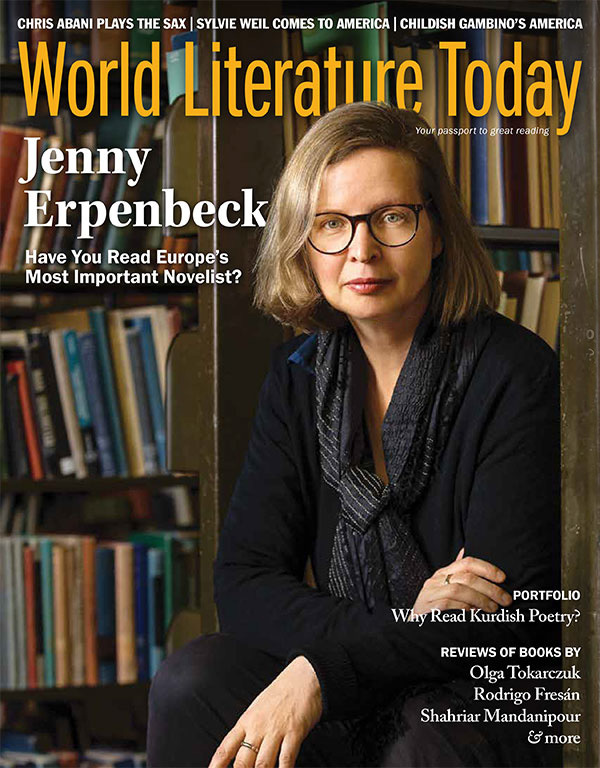 Her novel The End of Days was enthusiastically received by both the public and press alike and has been awarded several prizes, including the Independent Foreign Fiction Prize (along with her translator, Susan Bernofsky) in 2015. For her latest novel, Go, Went, Gone, she won, among other awards, the Thomas Mann Prize and the Premio Strega Europeo. In 2017 Erpenbeck was awarded the Order of Merit of the Federal Republic of Germany. Her new essay collection in German, No Novel, is forthcoming in 2018. Featuring German novelist Jenny Erpenbeck and Ladan Osman’s take on Childish Gambino’s “This Is America” music video.